This event is celebrated in the town of Kuala Penyu, situated a little far away from the town of Kota Kinabalu, capital of Sabah. Rumbia or sago forms an indispensable part of the daily diet of the Bisayas and Kadazan community who reside in the region of Kuala Penyu and the surrounding districts of Beaufort and Papar. Every part of the sago plant is used and nothing is disposed off. The leaves are used to make roofs, mats, baskets, etc. 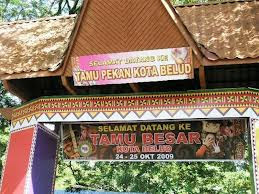 All theses uses, handicrafts, sago delicacies are demonstrated at a kiosk at Kampung Kasugira. The Tamu Besar is the biggest traditional open-air market held in Sabah. Organised annually in Kota Belud district, this year it will be held on the 25th of November. The highlights are the Queen Sarimpak & Tanjak Worrier Competition, Betitik (traditional Bajau music) Competition and also Local Product Exhibition. 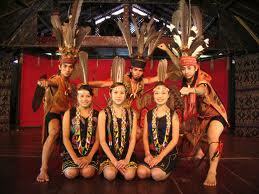 Another not to miss event is the popular Bajau Horsemen Performance. Enjoy fascinating lineups of activities such as, Buffalo parade, Horsemen Tug of War and also the Buffalo race with Sack of Paddy during this festival. The Kalimaran Festival is a celberation of the Murut people - which consist eight sub-ethnic groups - their arts and customs. The Kalimaran Fest will be held at the Sabah Murut Cultural Centre in Tenom, a beautiful architecture that is made of belian wood.